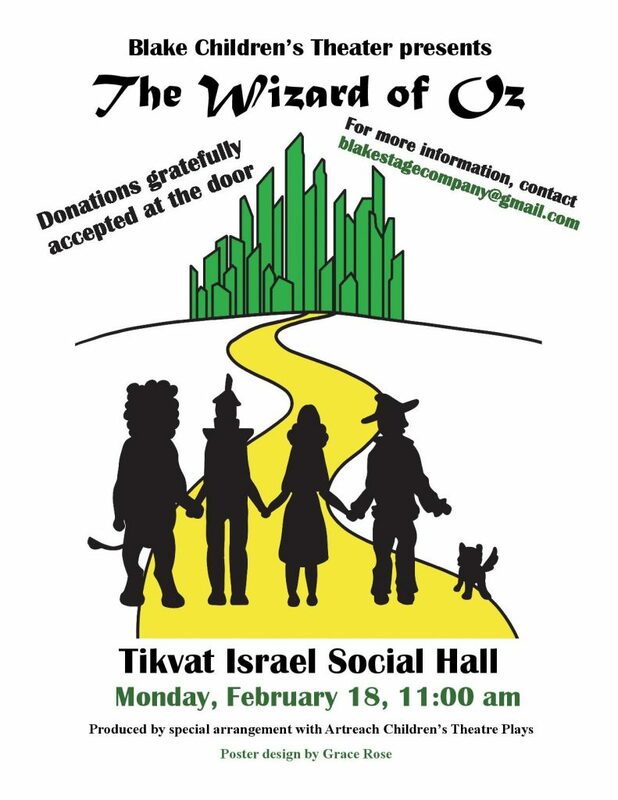 On February 18 at 11 am, Blake High School Children’s Theatre (BCT) will bring the play “The Wizard of Oz” to Tikvat Israel. Last year, BCT, led by congregant Mary Wagner, brought “The Odyssey of Jeremy Jack” to Tikvat Israel. Preschoolers from the ECC, elementary school-aged children, and their parents and grandparents enjoyed the production. This year’s play is recommended for same audience. Like last year, donations are greatly accepted at the door and proceeds will benefit BCT and Tikvat Israel youth programs.